We are Shirley and Joan Carrot Carrot, two sisters with a passion for the finer things in life. Shirley that include flowers, for Joan cooking and good food. 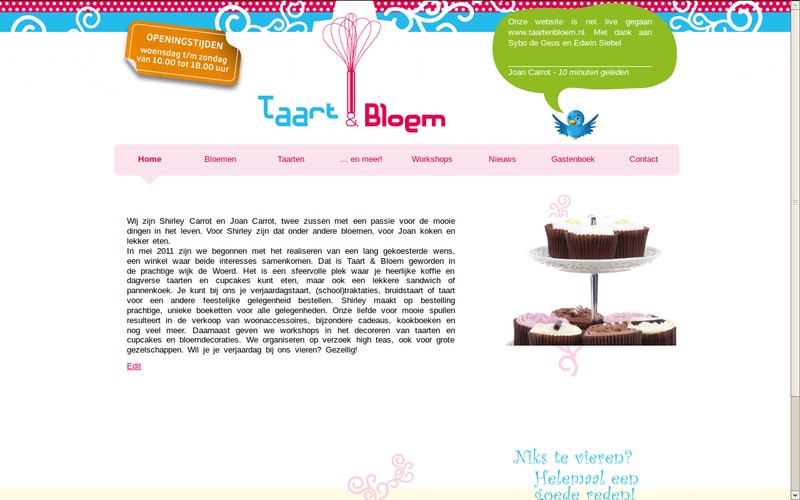 In May 2011 we started to realize a long cherished dream, a shop where the two interests come together. 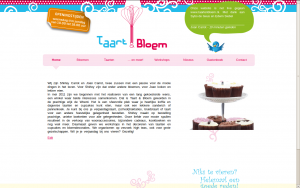 That became Taart & Bloem, in the beautifuldistrict de Woerd. It’s a cozy place where you can drink delicious coffee and eat fresh cakes and cupcakes, but also a delicious sandwich or pancake.